I keep thinking about posting more often here, but time just flies by. Last few weeks had been very hectic. We just returned from a week long vacation to South Dakota. The trip planning/shopping took more time than I imagined. But I am glad it went well. Ishaan just started going to preschool today – I am trying to calm down my nerves even after I saw he was ok when I left him at school this morning!. 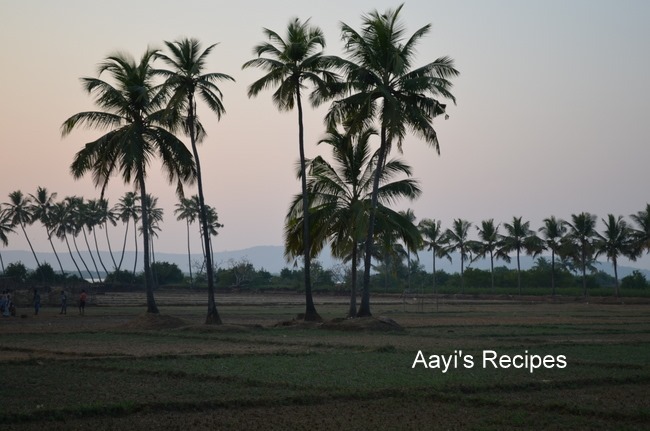 So I thought I will write something here today and instead of posting a recipe, I thought of posting something that I wanted to post for a long time – some pictures of my home from rural India. 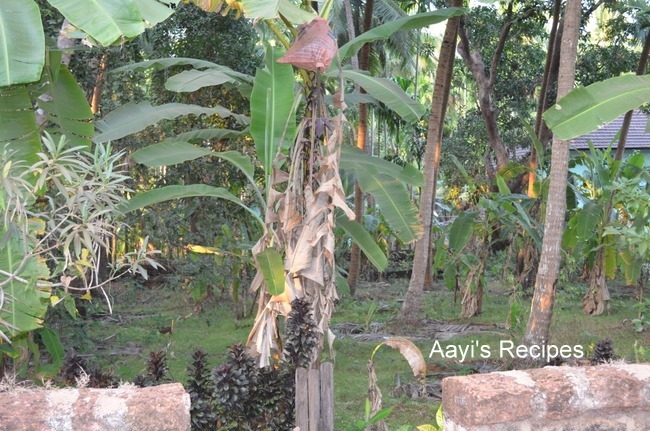 When I visited India last November, many of you asked me to post some pictures of my aayi’s beautiful garden. I took dozens of pictures, of every corner, but never got the time to post any. I haven’t even processed them yet!!!. But anyway, I will get to all of it soon, now that I will have few hours free for myself!. I spent first 2 decades of my life in this beautiful home. Somehow, even after living in different places, setting the home all by myself, I still feel this home – where my parents live, where I spent my childhood, gives me that feeling of really being at home. Every corner of this place has many memories associated with them. I don’t think I can put down everything in words, so I will just stop here and show you all some pictures that I clicked. Sprinklers are relatively new here. 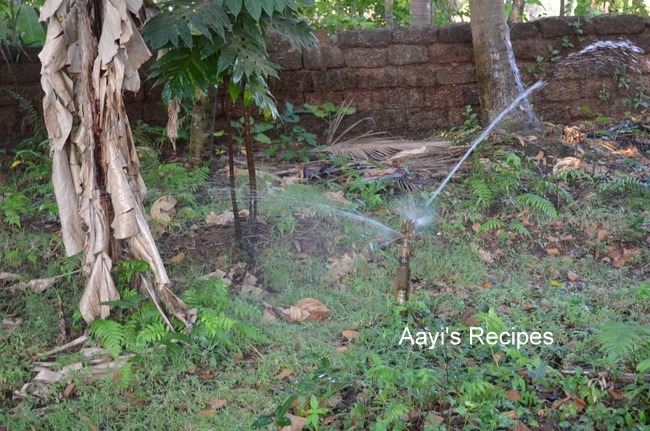 When we were kids, pappa watered the plants with huge pipes. It used to be such a hectic process. Now the sprinklers make it relatively easy. It is very hard to save bananas from monkeys. 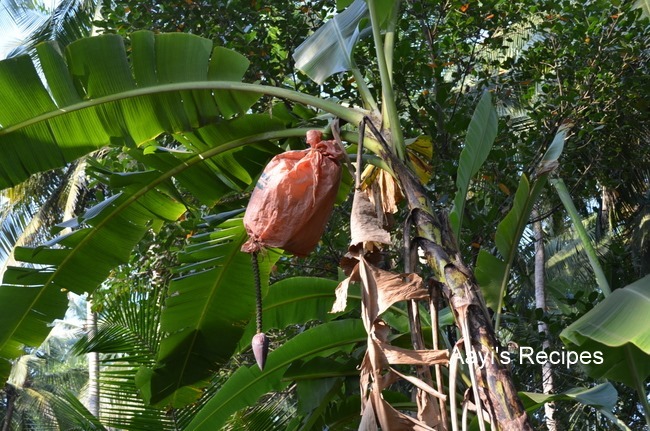 Everyone covers them to make it harder for monkeys to get, but aayi tells me monkeys have figured out a way to open these bags!! 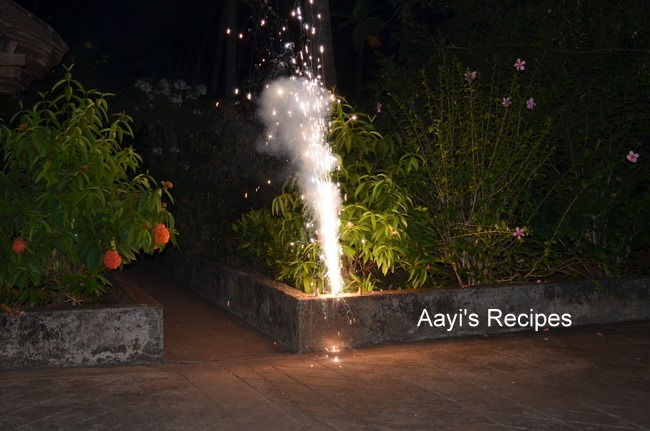 It was Diwali time, what is the fun of Diwali without some firecrackers. We thought Ishaan won’t like it, but he enjoyed them a lot. When we were kids, pappa would bring big bags full of firecrackers, we would light up the entire house. We would light diyas or candles infront of the house. It was loads of fun. Heating water. 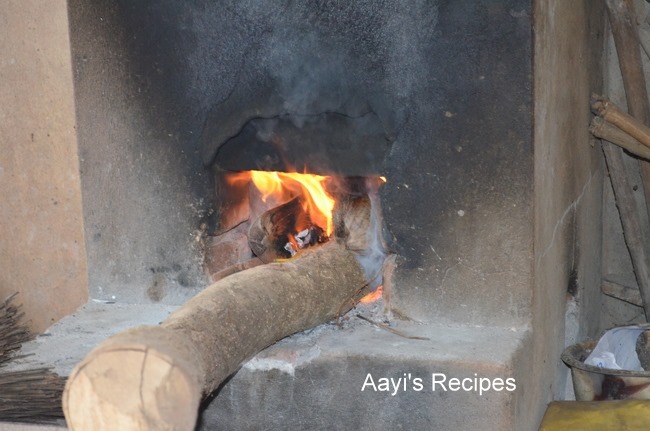 We still use this traditional water heating system, dried trees and leaves are used for this. 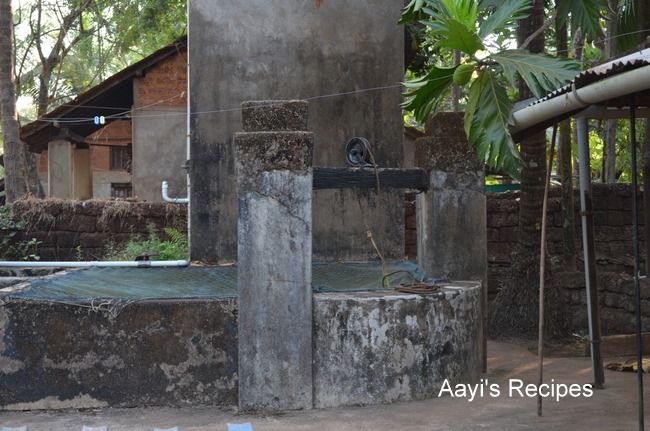 A well infront of the house – this is the only source of water for us. My parents still take out water using a rope for drinking and cooking. A electric pump is used to fill a overhead tank for other uses. River is very close to our home, so we get very fresh seafood. 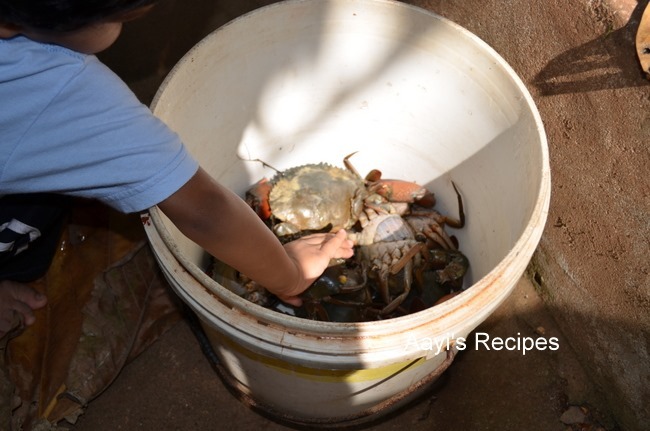 It is lot of fun to stick hand in a bucket of live crabs and take out one! And yes, that is Ishaan! On the way to the river which is a short 5 mins walk from home. It is lined with beautiful coconut trees. The trees you see in the below picture are on a tiny island. 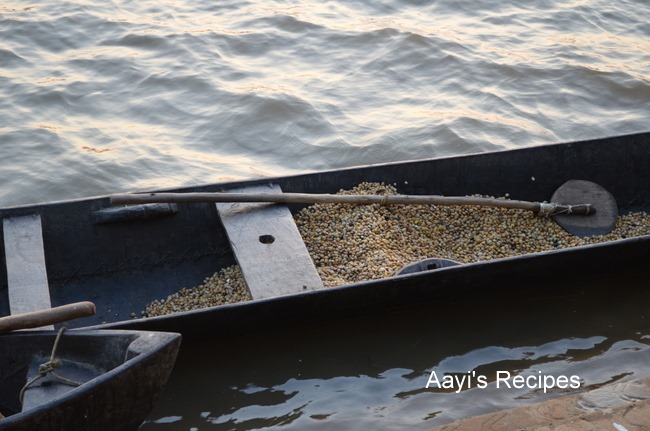 Many people live on this island, but they have to cross the river for their daily shopping and other things. Sunset at the river is so beautiful. So beautiful and tranquil. Thanks for sharing, Shilpa. Makes me think of my ancestral village in Goa. 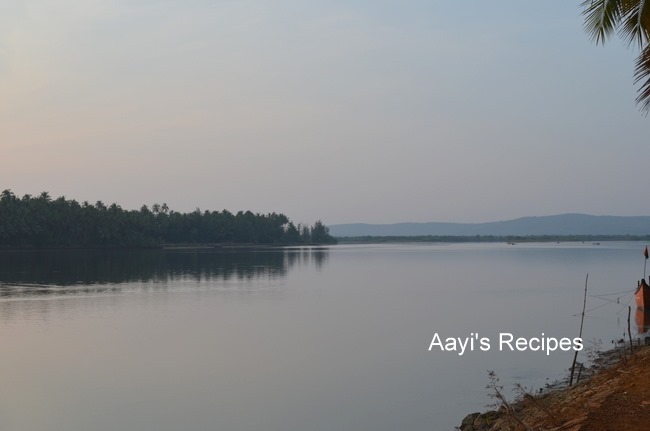 Loved Karwar,kumta,sirsi,idagunji……compared to our hectic city life,it is so peaceful and clean. Oh what a breathtaking view! How serene and beautiful it is. I can totally understand when u say ‘this’ is home. I do, I do! I love how well balanced life seems, nature and man in harmony. Living green, this is a wonderful example. Beautiful post! very few people are fortunate enough to live in such a beautiful place! 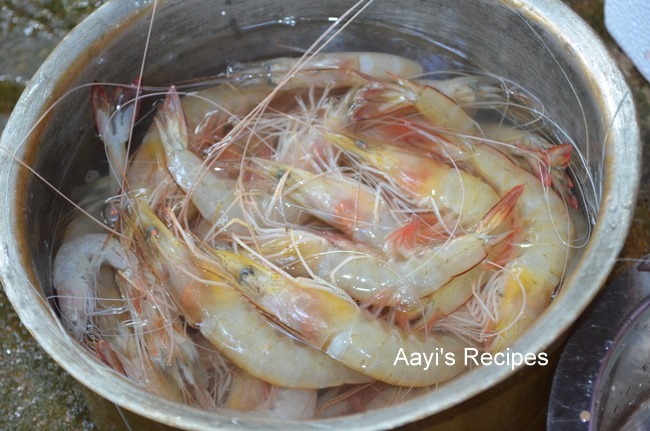 Shilpa, your pics brought back memories of my summer holidays at Kodkani,the khubbo and crabs oh my mouth is watering…. Your pictures brought back childhood memories. 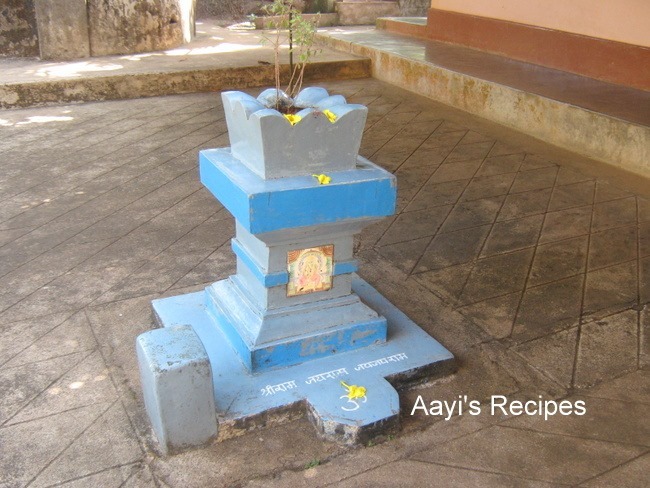 My grandparents are from Hanehalli near Gokarna. Numerous memories of summer vacation spent with my cousins here. I stay in New York- read your blog often. We have another common factor- I was raised in Belgaum. Keep up your good work!! You home is beautiful Shilpa! 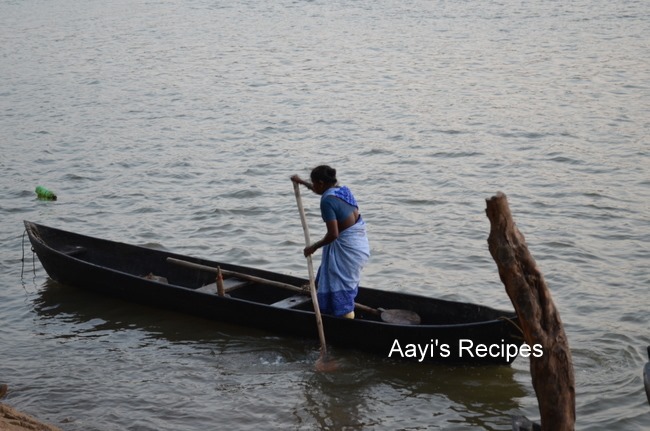 thanks for sharing the pictures..Loved the river,women fishing and finally the clams in the boat….you are very lucky Shilpa! Thank you Shilpa ….gorgeous pictures. Is this in Kumta? You grew up in an idyllic setting…wish u many many happy visits and often. Thank You for a wonderful post. Lovely pics. 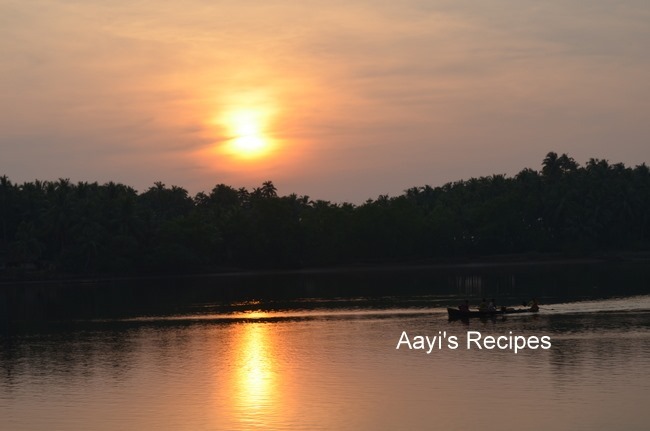 Hi Shilpa, love your recipes and wonderful explanations. I visit your site whenever I get bored of my Havyaka recipes and need slight variations to ‘add spice’! It feels like I am meeting someone from ‘tavaru’ when I come here. Thank you for great recipes and equally beautiful pics. Very Beautiful Home Town & House You Have. It Feels Very Good To Live With Nature In Her Lap. totally reminds me of my grandma’s house in Kumta. her house was also close to the beach and river. Only difference is the angan is not cow-dung painted:). Wow…you took me down the memory lane….love the pics and the greenery. Hey, I just chanced upon your site. I must compliment you on the painstaking work you have taken upon yourself in compiling Konkani recipes. The non- K stuff is available but with the migration of folks from the Konkan and the lack of interest in cooking in most younger people, I think genuine Konkani food is in danger of vanishing. Of course the younger generation is busy with their work but it presents a real danger. 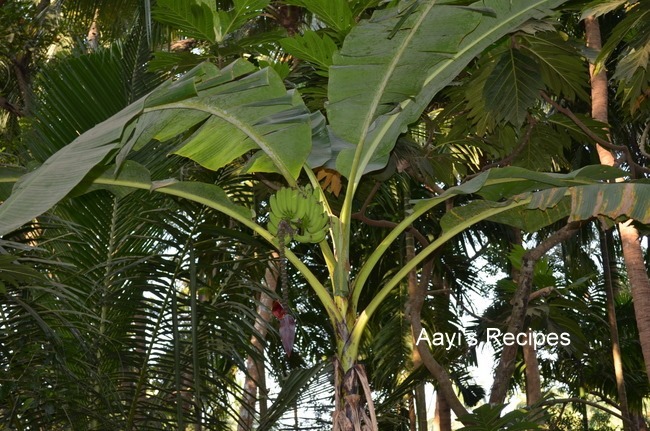 Konkani recipes are unwritten, without measurements and they vary regionally as also within Konkani families. I am glad you took this up. So again, its a great job. Luv ur recipes. Ur parents home reminds me of my aai’s parents home in a village in karwar. 50yrs old memories came back rushing!